Arizona SR22 Insurance – certificate of financial responsibility – Select Insurance Group offers cheap Arizona SR22 Insurance and Arizona Non-Owner SR22 Insurance. In simplest terms, the Arizona SR22 form is a certificate proving future financial responsibility. If you fail to maintain proof of future financial responsibility for the mandated length of time, you may lose your driving privilege and/or vehicle registration. You obtain an Arizona SR22 from any insurance company, such as STI Insurance Agency, that is licensed to conduct business in Arizona. If during the required probation period you let the auto insurance policy that has the Arizona SR22 attached cancel or lapse your license will be suspended. Jail time and more fees may be a result and most likely you will need to start the probation period over again. In simplest terms, the SR22 form is a certificate proving future financial responsibility. If you fail to maintain proof of future financial responsibility for the mandated length of time, you may lose your driving privilege and/or vehicle registration. You obtain an SR22 from any insurance company, such as Select Insurance Group, that is licensed to conduct business in Arizona. What will require an SR-22 form? How long do I need to have an SR22 in Arizona? You must maintain an SR22 for three years from the date of suspension unless otherwise stated in the judgment. Suspension requirements vary from case to case so be sure to contact the state for your specific judgment. How much will my car insurance increase if I need an SR22 form? Your car insurance is likely to increase due to the nature of the violation that is causing you to file an SR-22. 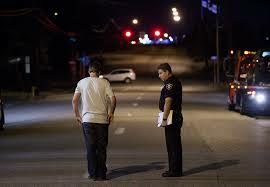 If you were convicted of a DUI or reckless driving your premiums will increase substantially. If you were involved in an accident and need to file an SR22 your premiums will probably not be as high. You will need to get your SR-22 from a licensed insurance carrier in Arizona. These insurance companies will provide the state with the required filing information and status updates if the policy is cancelled. Remember you will need to restart the probation period if the policy is cancelled and could face possible jail time. In order to reinstate your license there may be multiple documents and steps needed to be completed. If it is a court ordered suspension you will need clearance from the court and possibly an SR-22 form showing proof of liability insurance. In order to reinstate a license due to failure to maintain proper insurance you will need to obtain an SR22 from an insurance carrier. This insurance company must operate in the state of Arizona. You may be asked to take a written and/or road skills test. Reinstatement fees vary so be sure to ask the state office. If all requirements have been met to reinstate except paying the fees you can reinstate online.